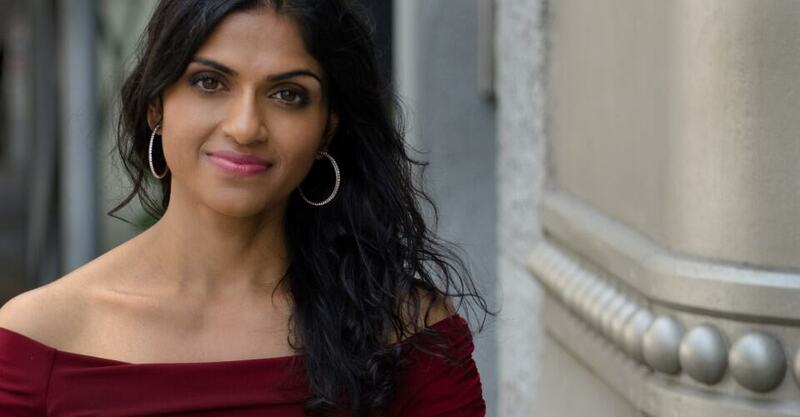 #Saru Jayaraman is the Co-Founder and Co-Director of the #Restaurant Opportunities Centers United (ROC United) and Director of the Food Labor Research Center at University of California, Berkeley. ROC United has more than 18,000 worker members, 150 employer partners, and several thousand consumer members in more than 30 cities nationwide. Saru is a graduate of Yale Law School and the Harvard Kennedy School of Government. I was able to do an email interview with Saru, winner of the James Beard Foundation Leadership Award in 2015, about the issues surrounding #restaurant workers and her new book, Forked (Oxford University Press). Diet Detective: Hey, Saru, thanks for the opportunity to interview you. I would love to know how you became interested in restaurant workers, good food-related jobs and food in general? Saru Jayaraman: September 11th, 2001. On that day 73 workers died at Windows on the World, the restaurant at the top of the World Trade Center, and 250 workers lost their jobs. In the aftermath of the tragedy I was asked to start a relief center together with Fekkak Mamdouh, one of the head waiters in the restaurant who survived. We thus founded the Restaurant Opportunities Center (ROC) just months after the tragedy, and what started as a relief center has grown into a national organization of restaurant workers, employers and consumers seeking better wages and working conditions in the industry. It is through my work at ROC that I have become involved in the larger effort to transform the food system and working conditions throughout the food system. Diet Detective: Have you ever worked in a restaurant? If so, which one(s)? Saru Jayaraman: Only our own restaurant, COLORS, in New York City. We launched COLORS together with the surviving workers from Windows on the World just a few years after the tragedy, and we expanded so that we now have a #COLORS Restaurant in Detroit, and are opening more in Oakland, California, and New Orleans. Diet Detective: This is a quote from your publisher’s website (which I loved by-the-way): “A restaurant critic can tell you about the chef. A menu can tell you about the farm-sourced ingredients. Now who’s going to tell you about the people preparing your meal?” Can you very briefly tell us what we need to know about our servers, cooks, dishwashers, and other restaurant workers? Saru Jayaraman: We need to know that the #restaurant industry is one of the largest and fastest-growing segments of the U.S. economy, with more than 11 million workers, but is statistically the absolute lowest-paying employer in the U.S., providing the fewest benefits. Every year, seven of the ten lowest paying jobs in America, according to the Department of Labor, are restaurant jobs, and only one of those seven is a fast food occupation. That means that most of the time, the full service restaurants that we all know and love, where we take our families and celebrate important occasions, even when they’re great on local and sustainable, provide the lowest pay and fewest benefits of any industry in the U.S. We need to know that we as customers are subsidizing the largest companies in America by paying their workers’ wages through our tips, because the restaurant industry lobby has successfully argued that they should only have to pay as little as $2.13 an hour to their workers, because their workers earn their wages in tips. We are also subsidizing these major restaurant corporations through our taxpayer dollars, since we spend $16.5 billion annually in taxpayer-funded public assistance (Medicaid, food stamps, and much more) for restaurant workers alone. Diet Detective: Can you briefly explain/outline some of the best and worst restaurant-worker experiences? Saru Jayaraman: Forked shows that while most restaurants follow the standards set by the restaurant chains, there is a growing group of restaurants taking the ”high road” to profitability. These include: Zingerman’s restaurants in Ann Arbor, MI, which pay “thrivable” wages to their workers; Danny Meyer and Tom Colicchio, who’ve been leaders in the fine dining segment in moving away from the two-tiered wage system that keeps workers at $2.13 an hour; the Florida Avenue Grill and Vimala’s Curryblossom Café, casual restaurants owned by employers of color who value their workers and allow them to move up the ladder; In N Out Burger, a chain restaurant company that pays livable wages; and many more. On the other hand, we also profile the chain restaurants, from Olive Garden to Denny’s to Taco Bell, which do not just pay the minimum wage, a below-poverty wage, but actually lobby to set the minimum wage. They set the ”low road” standard, and they clearly have the opportunity to set a different standard. Diet Detective: Do you believe restaurant workers should be tipped? If so, what about sharing tips? Can you explain? Saru Jayaraman: At this time, tips are absolutely necessary on top of the minimum wages that are currently being advocated in order to get workers closer to a wage that allows them to support their families. We are calling for One Fair Wage, eliminating the lower wage for tipped workers (currently $2.13 an hour at the federal level, and between $2.13 and $7.50 in 43 states nationally), and requiring all employers to pay the full minimum wage with tips on top of that wage. There are seven states that have required employers to pay the full minimum wage – CA, OR, WA, MN, MT, AK, and NV – and these states have higher restaurant sales, higher job growth among tipped workers, and higher tipping averages than the 43 states with lower wages for tipped workers. Many restaurants in those seven states allow for a modest amount of tip sharing between the dining room and the kitchen, since all workers are receiving the full minimum wage with tips on top. Diet Detective: You claim the U.S. is violating international human rights standards in its treatment of tipped restaurant workers – can you explain? Saru Jayaraman: Seventy percent of tipped workers are women who work at restaurants like Denny’s and IHOP; their median wage including tips is less than $9 an hour. They suffer from three times the poverty rate of the rest of the U.S. workforce and use food stamps at double the rate. They also suffer from the worst sexual harassment of any industry in the US, since these women must tolerate all kinds of customer behavior in order to earn their income in tips. This policy violates international human rights standards with regard to unstable poverty-level wages and with regard to the treatment of women. Diet Detective: Can you explain your Diner’s Guide app, and do you have any other future tech-development goals or expansion? Saru Jayaraman: The Diners Guide app rates the most popular restaurants on their wages, benefits, and promotions, and provides awards to ”high road” restaurants. However, we did not create the Guide to tell you where to eat and where not to eat. While you should certainly support high road restaurants, we created the Guide as a tool to allow you to communicate to restaurant owners and managers wherever you eat out. Diet Detective: When you walk into a restaurant, what do you notice first? Is there something that gives you a quick clue as to the quality of the work environment? Saru Jayaraman: You can sometimes sense the way workers are treated by their happiness and hospitality, but this is not always the case. One of the most notable aspects of a restaurant’s decision to take the high road is the diversity of their wait staff. Our industry is highly segregated by race and gender, with the highest paid jobs – fine dining service and bartending jobs – held overwhelmingly by white men. One of the most notable aspects of a restaurant doing things differently is whether their wait staff includes people of color and women. Saru Jayaraman: We encourage consumers to: 1) read our books (Behind the Kitchen Door and Forked) in order to educate themselves on what’s happening in the industry; 2) join our consumer association, Diners United, and through that, encourage their favorite restaurants to join our “high road” association, and thereby learn from their peers how they can improve wages and working conditions in their restaurants; and 3) visit our website, #onefairawge.com, and use the portal to easily send a note to their legislator indicating their support for one fair wage for all workers, including tipped workers. 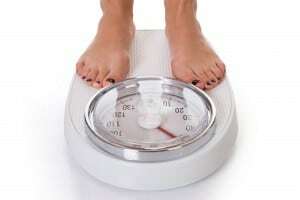 Diet Detective: Your last meal? Diet Detective: Do you eat out every night? Saru Jayaraman: Not every night; I travel almost half of every month and eat out every day I am traveling. Diet Detective: What was your breakfast this morning? Saru Jayaraman: A protein shake. Diet Detective: Your favorite food? Saru Jayaraman: I’m odd and also privileged; I spent every summer doing social justice internships and jobs and so never had one that I hated.